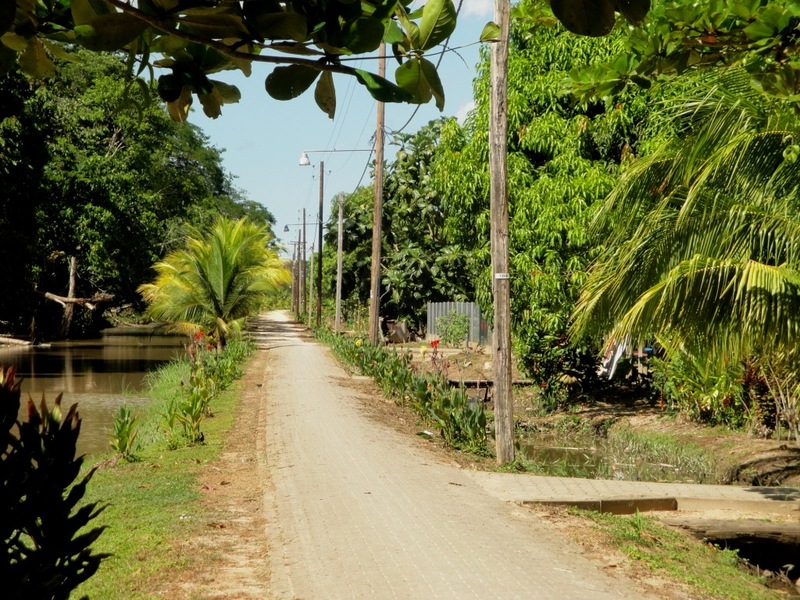 Location : At a distance of 25 km from the capital Paramaribo and 50 km from the International Airport, the village of Domburg is centrally located in the country like environment of the Wanica district. 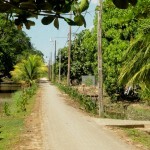 Domburg is a former cocoa, coffee and citrus plantation and now a lovely village. The local population is mainly of Javanese and East-Indian heritage. Domburg’s picturesque central square is located alongside the Suriname River. It is shaded by huge mahogany trees and lined with Javanese “warungs”: small restaurants where you can enjoy local food such as deep fried cassava with spicy fish or “pitjil” served in a banana leaf. Especially on Sundays this is a marvelous spot to relax and chat with the locals. There is a lot to see and do in the neighbourhood. The (tent boat) ferries on Domburg’s jetty take you upriver to Laarwijk, a former plantation where time seems to have stood still. 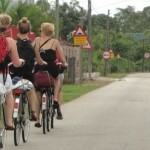 Or go by bike to White Beach and relax on the riverside. Very worthwhile is the Butterfly Garden in Lelydorp, where you see how the famous “Morpho” metalic blue butterfly is raised and enjoy the huge amount of butterflies fluttering about in the tropical garden. 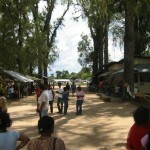 Go to Parabello for a swim and Zipp-line trough the forest, don’t forget to visit the indigenous potters. 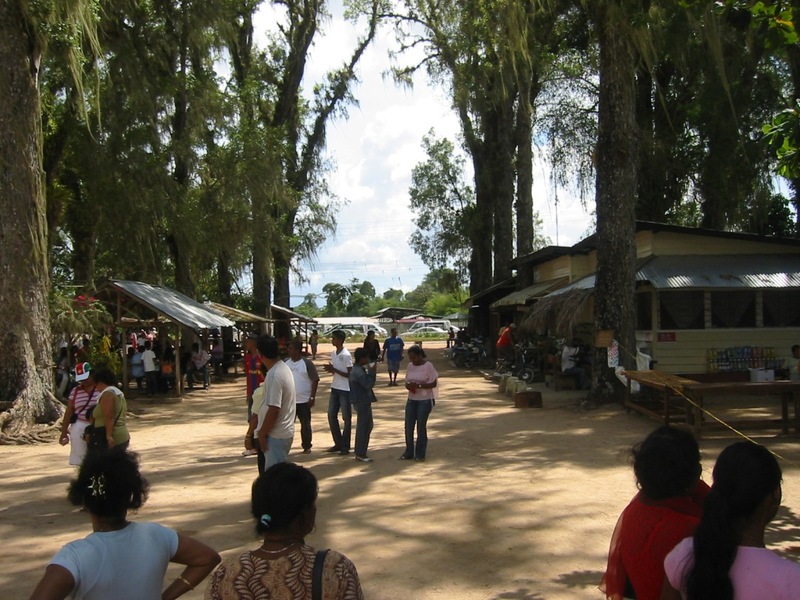 And take a guided tour in the exotic garden of Paraflor, nearby Parabello. Paraflor is a botanical garden and nursery, famous for its magnificent rare jungle flowers and trees. The Studio apartment is located on the ground floor. It consists of a bed/living room (30 m2) with kitchenette and bathroom incl. toilet and shower (hot and cold running water). The double bed is queen-size and the two studio couches easily convert into two extra beds. The double doors open to a large private terrace (32 m2) overlooking the garden.Facilities: TV / refrigerator / microwave oven / air co / fan / Wi-Fi / bath towels / hair dryer / free parking/ F&B service on request / laundry service (rates for washing and ironing per item). The Country Cottage is a detached vacation house with a ground-floor living bedroom combination with a king size bed, private bathroom and open Kitchen, including a wooden stairway to a loft with 2 single beds and a table to write or work on. The Country cottage has a spacious private balcony/terrace overlooking the garden.Facilities:TV / refrigerator / Water cooker / fan / WI-FI / bath towels / hair dryer / free parking/ F&B service on request / small washing machine/storage area for bicycles. Check inn time is at 15:00 hrs. And check out time 13:00 the next day. Private transport from and to the Johan Adolf Pengel international airport and Zorg en Hoop airport for interior flights is possible on reservation. 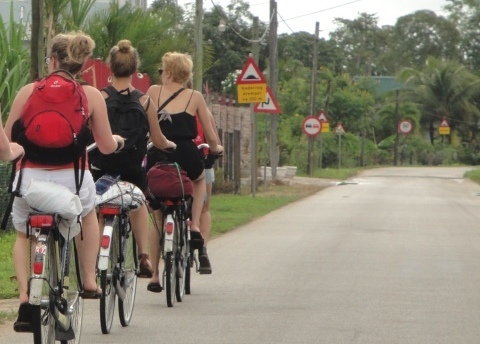 At cost of Euro 3.50 per day a bicycle can be rented. Or US$ 4.75 p/day. Please click on the navigation bar on top to view other apartments. Please require for availability by contacting us.